Kelly grew up in southern Illinois with the Shawnee National Forest (SNF) as her backyard. She began her service as a Youth Conservation Corps (YCC) enrollee in 1976 on the SNF. She later secured seasonal employment as a Recreation Technician with the U.S. Forest Service in 1991, which led to a permanent spot with the SNF as a Forestry Technician in 1995. For 26 years, Kelly worked on recreation, trails, volunteer, and fire projects. In 2011, she transitioned to her dream job: Wilderness Technician and Volunteer Coordinator. Thanks to Kelly, the Shawnee National Forest now hosts a large number of volunteer workdays and weekends, alternative spring break opportunities for college, high school, and middle school students, adopt-a-trail and adopt-a-trailhead internships, volunteer vacations, youth service opportunities, and trail building clinics. 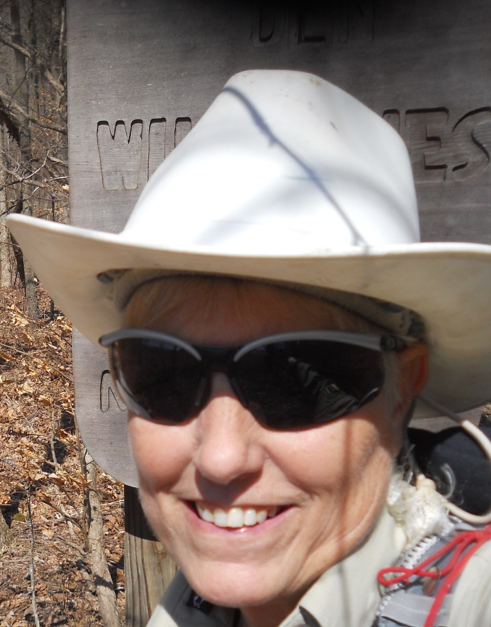 She earned the Forest Service National Volunteer Coordinator of the Year Award for her work. In 2005, Kelly developed a college-level curriculum, Master Trail Steward Program (MSTP), to offer consistent training for volunteers. Through this curriculum, volunteers are enrolled in a series of Forest Service-led core training classes, including: principles of trail stewardship, trail construction and maintenance, wilderness use and ethics, leadership, working with traditional tools, team building, and back country living skills. At the same time Kelly was getting the MTSP off the ground, she developed the Shawnee Volunteer Corps (SVC), and outfitted the forest with necessary camping gear, tools and safety equipment to support these programs. The MTSP and SVC frameworks continue to benefit conservation-related young adult and veteran programs. The curriculum has enabled AmeriCorps NCCC volunteers to quickly and effectively develop the trail and backcountry living skills necessary for completing wilderness projects in the Shawnee National Forest. Kelly also helped the SNF start year-long residency projects for AmeriCorps VISTA volunteers. Most recently, Kelly has been critical to the development of a new partnership between the Shawnee National Forest and Greencorps Chicago. The partnership between Greencorps and the SNF has provided a, previously non-existent, link between an urban population that has historically been excluded from our nation’s public lands and Illinois’ only designated Wilderness areas. Furthermore, Kelly has made it a priority to provide exceptional enrichment opportunities for Greencorps Chicago crews. She organized what was, for many of them, their first canoe trip; planned for crews to be in the path of totality for the solar eclipse; and took a crew to the Miller Grove archeological site. This is the location where an early freed slave family began a new life and a new community after leaving the south in 1846. These projects and experiences, among many others, have connected Corps participants to their national public lands and their history in unforgettable ways.